We'll be bashing our way into 2017 on the 31st and you're all invited! 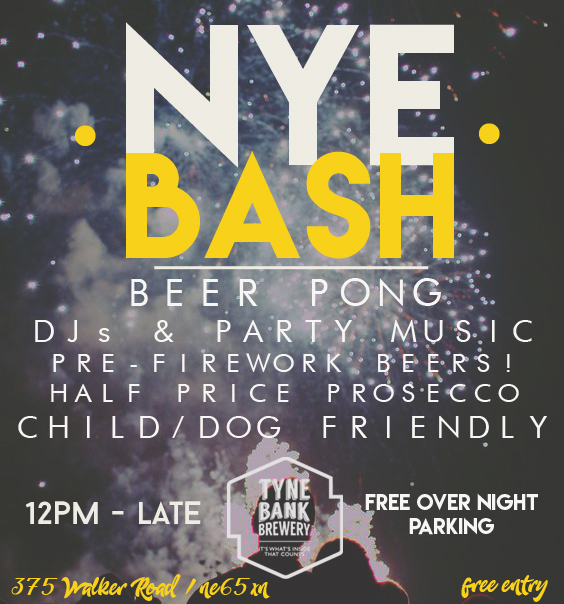 No tickets necessary, we'll be having some good old honest fun, the party tunes will be on, beer will be flowing, bottles of FIZZ will be half price and for the athletes.....BEER PONG tables will be set up! 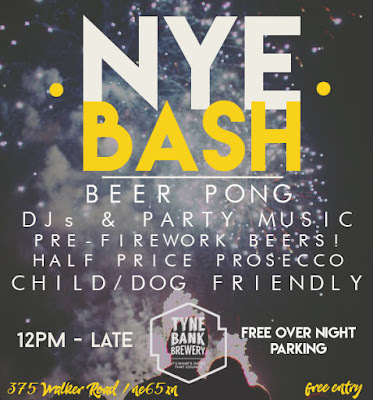 A perfect warm up to the Quayside FIREWORKS at midnight. We'll be open as usual during the day so if you're heading for Quayside walks or out with family we're child and dog friendly and have a free over night car park for customers.